Jamaica Blue Manukau Bus Station is now Open! Make sure to pop into our newest Jamaica Blue store at Manukau Bus Station! We’re looking forward to welcoming you at our new grab-n-go café. 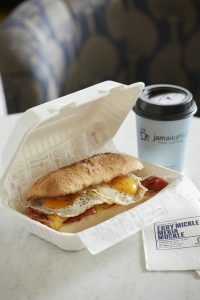 Whether you’re after a freshly brewed coffee and quick bite on the go, or one of our delicious breakfast or lunch options, we have you covered. Open from 6am – 6pm Monday to Friday. 8am – 5pm Saturday and Sunday.